Home/Knowledge Base/Domain Names/How to transfer external domain from one cPanel to another? Please do note that this article is intended for Shared Hosting Packages only. VPS, Dedicated Server and Reseller accounts have a different procedure. Please follow the instructions below on how to transfer external domain name from one cPanel to another. The external domain name must be deleted or removed from the cPanel account first before you can transfer it to a different one. You need to contact the domain registrar and change the name servers there to Non-Vodien name servers or use default name servers of your registrar. In case you are using other mail hosting company, please take note of their MX records or mail servers and modify it with your registrar. The system will automatically detect that the domain is no longer using our name servers and will delete the domain name. Please do note that emails and website associated to the domain name will no longer be accessible. Step 2. Click on Addon Domains under Domain panel. Step 4. You will be asked if you are sure, click on Remove button. The domain name will be deleted from the account right away. There are 2 things you can do. Either you add it as an addon domain name or as the main domain of the hosting package. Prior to adding the domain name in the Vodien, please make sure to point back the name servers of the domain name to Vodien’s name servers. 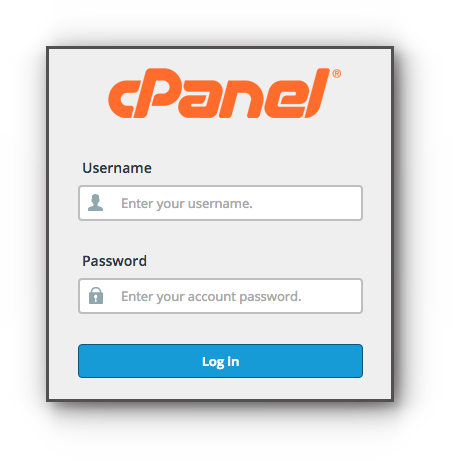 Log in to the other cPanel account and add the external domain name as an addon. However, if this is the main domain name of the cPanel account and you have not ordered a hosting account yet, there is a different process. Step 1. You may choose the package first and during the adding process, select the option “I own this domain name”. Step 2. Enter the domain name in the “Connect your Domain” field. Step 3. Click “Continue Order” button to proceed with the ordering process.